OIC are seeking views on plans to expand Cursiter Quarry in Firth. The Council is due to submit a planning application for the long-term development of Cursiter Quarry in Firth this Spring. As part of a 3-phased expansion plan designed to secure additional reserves the quarry could increase in size over the next three decades expanding into neighbouring fields. The planning application also covers landscaping and future restoration of the site. The application process is being handled by consultants AECOM. The council-owned quarry currently supplies stone and aggregate materials for Council roads and building projects as well as the local construction industry. It extracts Devonian Flagstone which is highly suited to a range of crushed aggregate products, in particular as roadstone and aggregates, used for producing asphalt for road construction and maintenance, with the quarry being the only active producer of asphalt in Orkney. 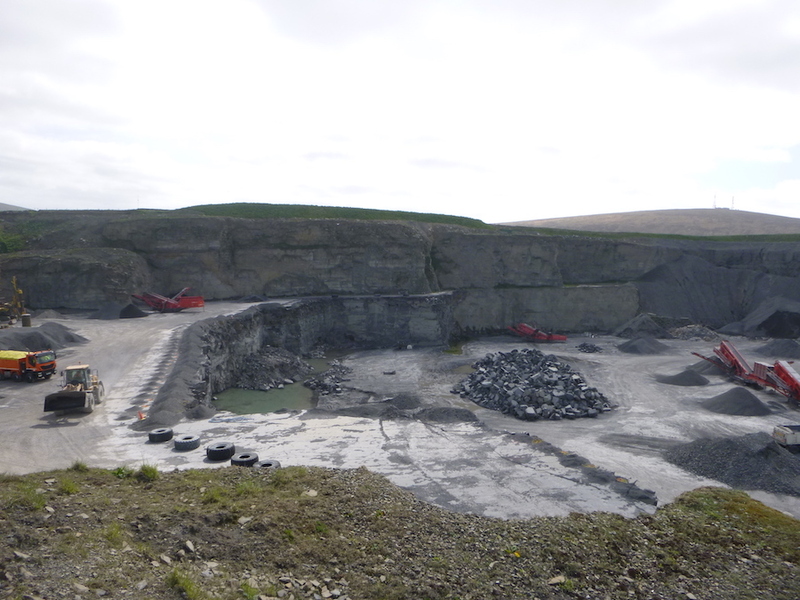 The activity at the quarry generates an income for the Council which is reinvested to provide and protect some of the vital services we provide in Orkney. The current quarry area is heading towards the end of its use and an expansion would safeguard supply of materials. Current output ranges between 75,000 and 120,000 tonnes of rock per year and if approved, the 7ha expansion will release approximately 3 million tonnes of additional resources, sufficient for another 30 years of production. Persons wishing to provide comments on the proposed development can do so by writing to AECOM at fraser.blackwood@aecom.com; or by post to Fraser Blackwood, APEX 2, 97 Haymarket Terrace, Edinburgh, EH12 5HD by 15 February 2019. OIC says that, at this stage, comments made to Aecom are for the purposes of assisting with the scheme design and EIA process and as such are not representations to the Planning Authority. When the planning application is submitted, an opportunity will be given for representations to be made to the Planning Authority.